Here’s a horror game that wants to tap into every parent’s worst nightmare: losing a child. The developers—who have also worked on franchises like Dreamfall: The Longest Journey—say The Park is narrative-heavy game. They list influences such as Gone Home, The Vanishing of Ethan Carter, as well as Stephen King novels. Perhaps you’ll see some similarities to Heavy Rain, too, what with the goofy “shouting after your kid” mechanic. EDIT: And as some readers have pointed out, the game is connected to The Secret World, an MMO I have not played. I’m particularly interested in mom herself—most games that feature parents explore being a father. Mothers are rarer! Color me intrigued. 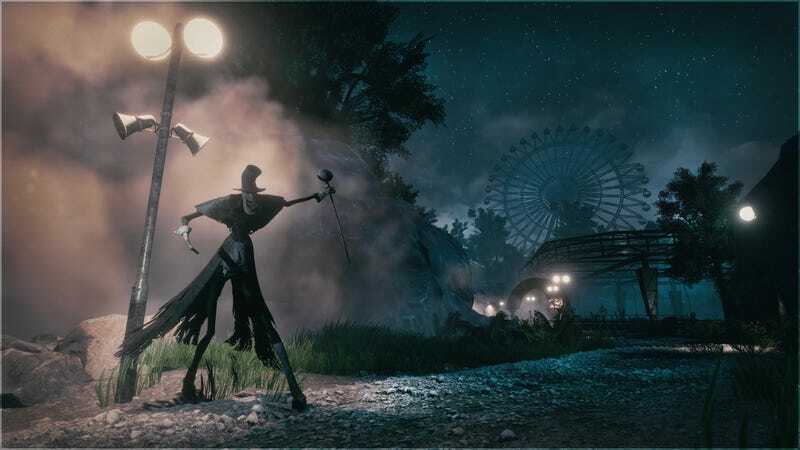 It’ll be out sometime in October for PC, but for now, you can follow The Park’s development at its official website.